Powell River Sea Kayak's Lund BC location is at the Historic Lund Hotel, 30 minutes drive north of Powell River at the top of the Sunshine Coast in British Columbia. This sometimes bustling, often quiet, little harbour is at the end of the road and is the perfect launch site for Savary Island and the Copeland Islands Marine Park. Our guides are experienced and knowledgeable. While paddling, our guides are there to provide more than safety and route knowledge. Each guide is also your personal interpreter - revealing the hidden treasures of this rich environment. Choose between an exploration of the intriguing intertidal marine life and protected coves and bays of the Copeland Islands, or visit the beaches and hidden southern reefs of Savary Island and learn about the island's unique dune ecology while relaxing on sandy beaches in sight of the white-capped peaks of Vancouver Island. The Copeland Islands Marine Park, locally called "The Ragged Islands", provides a wonderful mix of meandering islands, beautiful mountain views and wonderful marine wildlife. The countless coves, bays, channels and varied shorelines beckon the sea kayaker around each corner. Choosing one of many protected bays, the tour comes ashore for more exploring and a wonderful, fresh shore side lunch, before returning to the water and making its way back to Lund via any number of circuitous routes. 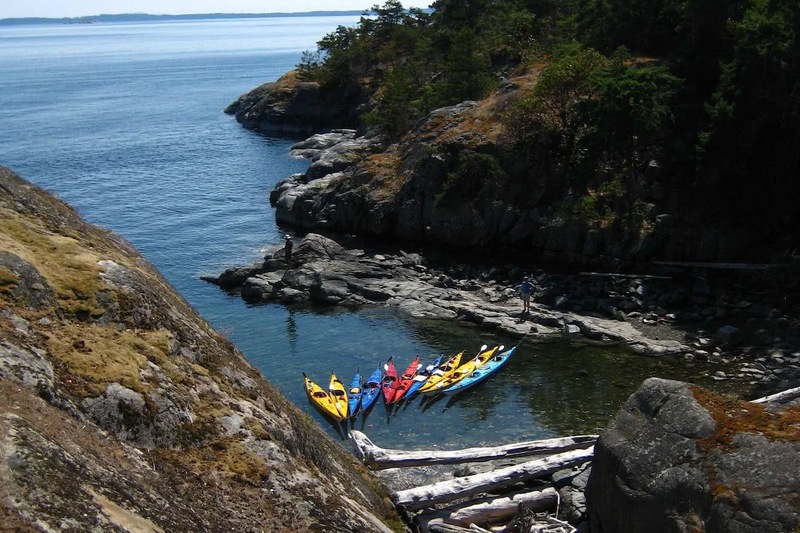 This tour is a true escape into an idyllic island wilderness. Duration: 7 Hours // Cost: $139 pp. 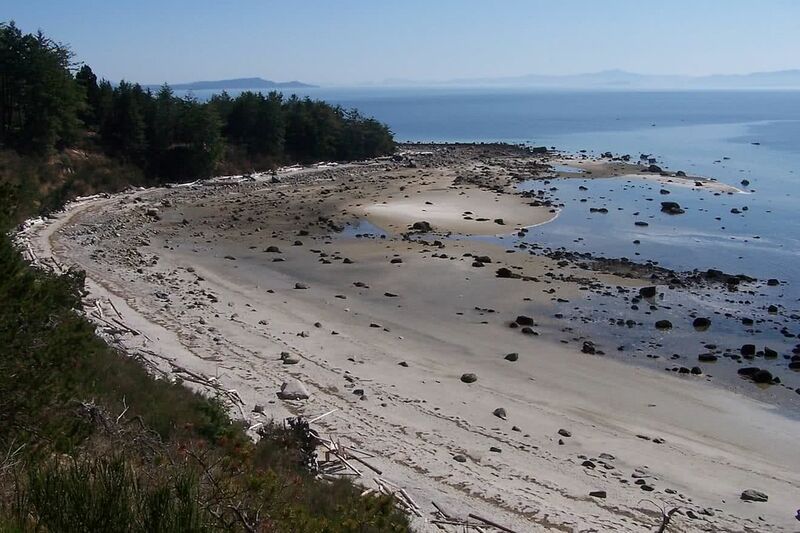 Savary Island is famous for its vast sandy beaches. A dry climate nurtures unique plants and animals and truly fascinating coastal dune ecology found nowhere else in British Columbia. The southern beaches of Savary are fringed by hundreds of massive boulders left behind by ancient glaciers, providing a natural barrier for powerboats and a wonderful habitat for all kinds of wildlife both above and below the water. Perfect for sea kayakers. This tour takes you away from the easily accessible tourist beaches. Pulling up on a deserted sandy beach and enjoying a fresh, creative lunch, is a surreal experience! Please note: the below calendar contains both our Okeover and Lund kayak tours.